We serve the state of Tennessee and have many customers from Tennessee come to our kennel. 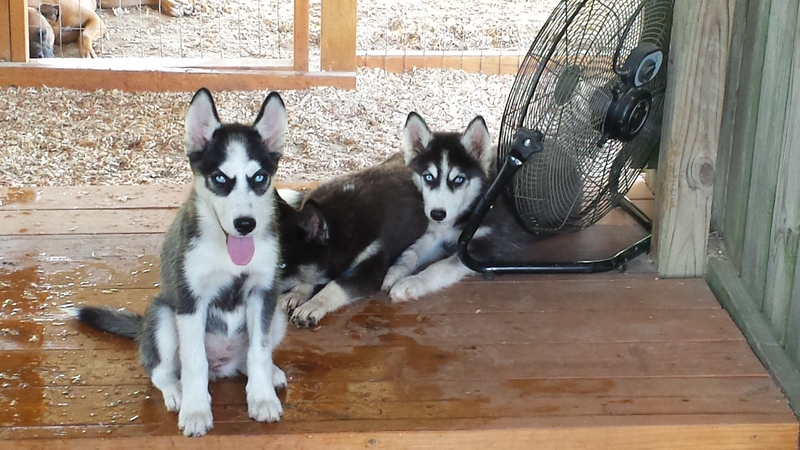 We have husky puppies for sale in Tennessee and the surrounding states. Here is a new husky puppy pic from Bama huskies kennel. You have to be very aware of your puppies around swimming pools. If you own a pool you need to teach your puppy how to exit the pool by himself. You never know when your puppy could accidentally fall into the pool. If it doesn’t know how to get out chances are it will drown. 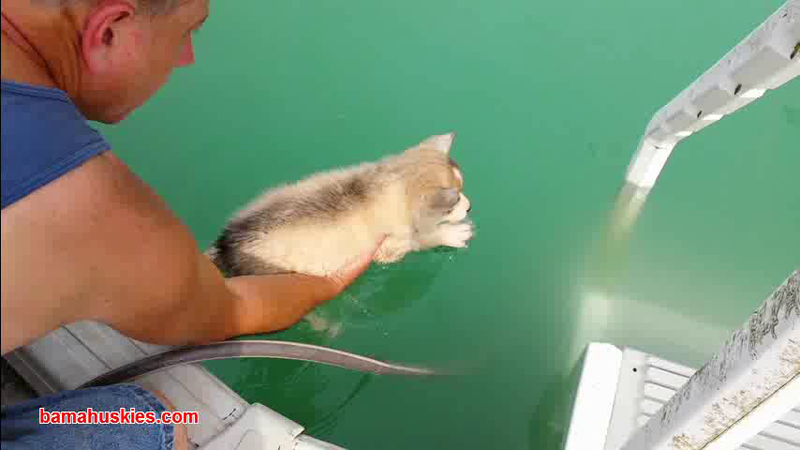 it is easy to learn a puppy how to find the steps so it can safely walk out of the pool. Learn pool safety tips for puppies. It will be fun for your puppy and give him plenty of exercise and you never know when it may save his life. A black and white husky puppy barking at a mail box. A beautiful husky puppy playing with a rope toy. Located at Bama Huskies in Alabama.